Start with the best people. The search for the best talent is never more important that when you are seeking flight department personnel. Maturity, good judgment, technical capability, and strong communications and interpersonal skills are important candidate characteristics for any position. But for one simple reason, these attributes require an even more critical focus when you are selecting pilots or maintenance managers and technicians. Your safety is in their hands. In theory, every pilot or technician with the required prerequisites is qualified to work for you. The Federal Aviation Administration has established minimum standards that each individual must meet in order to obtain a pilot's or airframe and power plant mechanic's license, and the various flight, aircraft or inspection ratings. However, just as you wouldn't necessarily choose the doctor who graduated last in their medical school class to be your attending physician, would you really want your flight and maintenance crews to be the ones who just meet the lowest requirements? There is much more to recruiting a good flight department member than just ascertaining their pilot's or technician's license, logged flight time, and aircraft type and flight ratings. There is that little thing called "fit". Do the candidates fit into your company, your operating structure and way of doing business? Do they understand that their roles go beyond simply transporting you to and from your destinations? Do they know how to represent you and your organization in a manner that enhances your reputation and supports your business and revenue goals? Are they team players, putting the flight department and your corporate goals ahead of their own interests? Lastly, are they committed to and capable of growing professionally so that they are able to continually add more value as their tenures lengthen? This is where the experience and expertise that the professional team at Holstein Aviation possesses really adds value to your search. 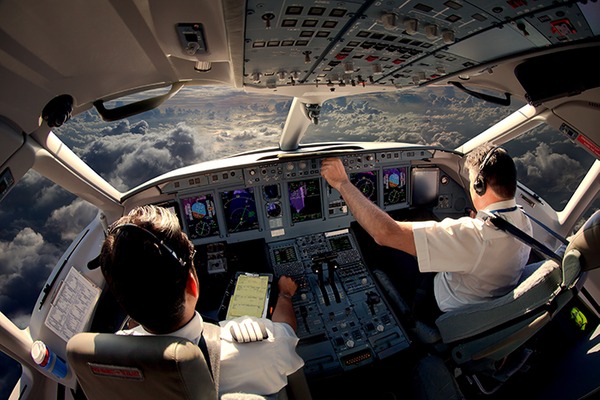 We are pilots ourselves, with a combined 66,000 total flight hours, Airline Transport and Commercial Pilot licenses, and light, medium and heavy jet type ratings from nearly all of the major aircraft manufacturers. We've flown for companies and individuals, managed flight departments, supervised maintenance and dealt with every aspect of business aviation operations. We've been there, done that, and know what you need to know - in detail. We also know pilots and mechanics. We've hired them, trained them, evaluated them, flown and worked with them, and helped others recruit them. We not only know who they are, but what they are, and what they are not. Most importantly, since we also know you, we know when someone has the potential to be a good fit, and when they don't. Because we know who to recommend for your employment consideration, the odds are good that some day you won't ask us to help you help them leave. The three Cs. The licenses, flight and aircraft ratings, logged hours and any regulatory enforcement are immediately checked to ascertain that the technical and regulatory qualifications are in place. Then the real screening is put into place for Capability, Compatibility and Culture. Your Holstein Aviation team partners with you to test and screen. Only the right individuals with the greatest potential to be a high-value, low risk hire are presented. Then, after we help you attract the best candidates who are the best fit for you, you can then focus on how best to develop, retain and sustain them as productive and value-adding employees over the long term. Technical skill in the specific discipline is important. But so is understanding. Are the individuals capable of understanding who you are and what you are all about? Can they grasp the nuances and facets of you and your organization? Do they know enough to truly know themselves, their roles and their responsibilities? Will they fit in? Will they be compatible with their fellow flight department members and passengers? Will they be able to provide the desired level of service to you and your top management team? To suppliers? To clients and customers? Will they possess a professional, yet personable, demeanor which invites others to support their performance and aid in assuring their success? Can they embrace, enhance and embody your corporate culture? Do they have the capability to function effectively, efficiently and productively within the parameters established for the flight department as well as the guidelines for your entire workforce overall? There are no guarantees in life, let alone any undertaking or business endeavor. But partnering with the professional team at Holstein Aviation is a sure way to dramatically increase the potential for a successful hire. Count on us to help you make a good long-term decision, not just bet on a long shot. Things change. That's just a fact of life. Unfortunately, events and outcomes can alter the need for, or for the same number of, employees previously required to do the job. Mergers and acquisitions bring in new owners, or create redundancy in flight department personnel and aviation assets. Business directions and resource allocation are dramatically altered. Aircraft get sold. The result is people who are currently in place now no longer have a place. Prudent business practices, not to mention personal and professional consideration, dictate supporting solid and valued former employees so that they can quickly and efficiently transition to their next productive role. But the fact is, regardless of how skilled or dedicated an individual may be in their particular discipline, the majority of individuals are relatively unskilled in the process of searching for their next position. The 75 - 25 Rule. Most people, no matter how good they were in their previous positions, generally have considerably less experience or professional training in how to find a new job, and accomplish that task quickly. Consequently, their resumes usually don't communicate all of the skills, capabilities and accomplishments they can offer to the prospective employer. That also applies to their cover letters which accompany the resumes. And few people truly understand the critical concept of job search networking, and how to effectively and successfully go about the process. Seventy-five percent of all positions are never advertised. Yet three-fourths of all job seekers focus on the twenty-five percent of the jobs that are publicized. The low potential for success is obvious unless your former employees are part of that twenty-five percent who network their way to those unadvertised opportunities. On a good day, searching for a new job is repetitive, boring, and just plain hard work. The emotional toll is heavy, and the financial burden can be devastating as the search process lengthens. Overall, it is a recipe for personal disaster without qualified and professional outplacement support. But the same group of professionals at Holstein Aviation that helped you attract and recruit your flight department employees can help you help them move on - quickly, efficiently and with dignity. Our team jumps on board immediately to help them assess their career options, strengths, weaknesses, and requirements. Then our human resource and marketing experts assist them with development of impactful resumes, strong cover letters, good marketing plans and a tracking system to effectively manage and direct their job search. Most importantly, we'll teach them how, when and with whom to network. We'll connect them with our connections. Advise them on the advisability of interviewing with those we know. And thoroughly and professionally support them every step of the way. When things change, one thing doesn't: the expertise Holstein Aviation professionals have available to help your departing employees develop the tools they need to obtain their next position - quickly.